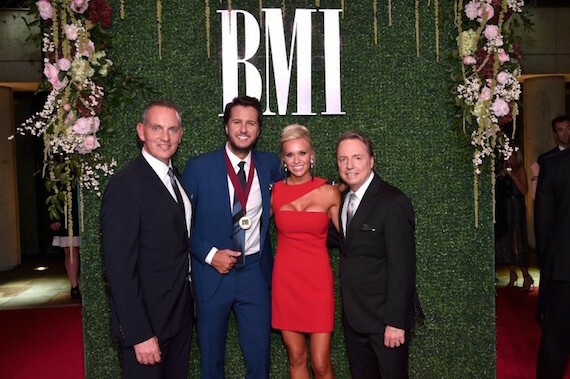 This year’s BMI Awards crowned a new songwriting king, saluted an established superstar and honored one of country music’s most popular songs of the year. Ross Copperman was the organization’s first-time Country Songwriter of the Year. Kenny Chesney, who has 30 No. 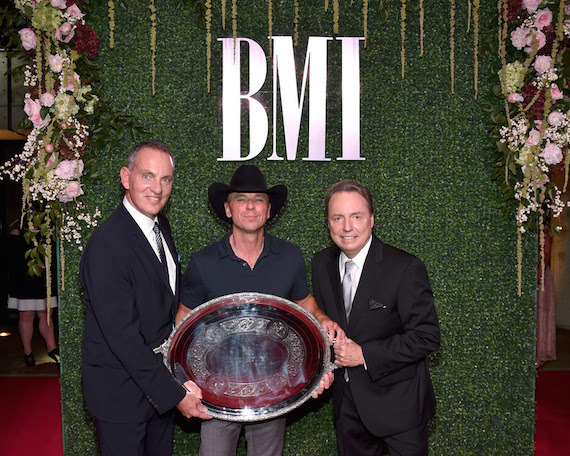 1 hits, was given the BMI President’s Award. “Die a Happy Man,” written by its singer Thomas Rhett with Sean Douglas and Joe London Spargur, won the Frances W. Preston Country Song of the Year Award. 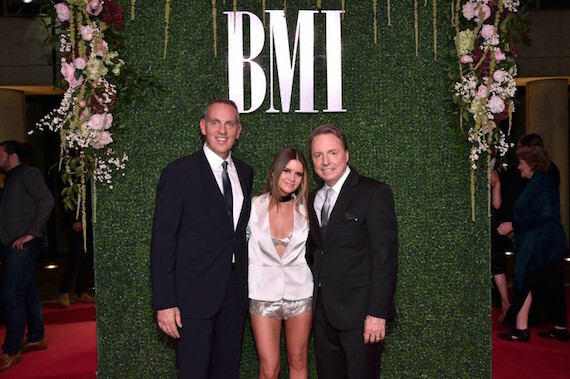 Sony-ATV set a new record by winning BMI’s Country Publisher of the Year honor for the 15th time. Georgia Congressman Doug Collins was given the BMI Champion Award for his legislative efforts on behalf of the songwriting community. 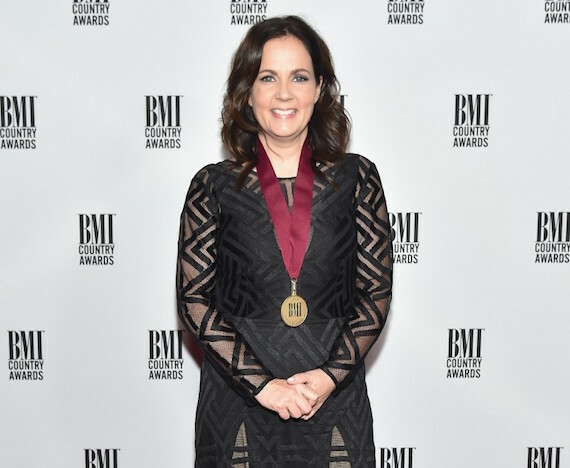 The ceremony, staged at BMI’s Music Row headquarters on Tuesday night (Nov. 1), also made history by honoring a record-setting 16 first-time songwriter winners. These included Cam (Ochs), Chris Janson, Michael Ray, Granger Smith, Jamie Lynn Spears, Tyler Johnson, Jennifer Wayne and Brian Davis. Video segments praising Chesney were interspersed among the awards throughout the first half of the ceremony. Then came the musical tributes. Keith Urban delivered “I Go Back” in an arrangement that evolved from acoustic-guitar simplicity to a full-band, electric-guitar rave-up. Dean Dillon provided a touching, tender, solo on “Tin Man.” Eric Church injected his intensity into “Anything But Mine.” All three received standing ovations. Copperman was honored for writing seven major hits in 2015-16. The artists of six of those tunes were there to celebrate with him. They were Billy Currington, who sang Copperman’s co-written “Don’t It;” A Thousand Horses, who did “Smoke;” Urban, who immortalized “John Cougar, John Denver, John 3:16;” Luke Bryan, who hit with “Strip it Down” and Brett Eldredge, who recorded “Drunk on Your Love” and “Lose My Mind.” The sixth awarded Copperman song was “Confession,” sung by Florida George Line. 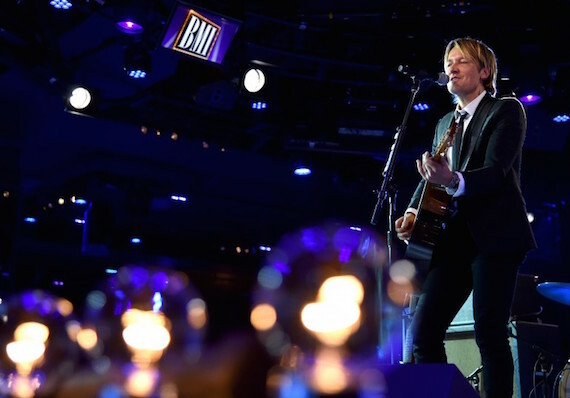 The annual BMI gala is typically studded with stars, and this year’s event was no exception. Among the record makers in attendance in addition to Chesney, Rhett, Church, Janson, Ray, Smith, Cam and Eldredge were such songwriting award winners as Chris Young, Dan + Shay, Jaida Dreyer, LOCASH, Rhett Akins, Heather Morgan and Cole Swindell. Fans lined the street opposite BMI to get a glimpse of entering attendees Little Big Town, Kix Brooks, Frankie Ballard, Jake Owen, Bill Anderson, John Oates, Doobie Brother Tom Johnston, Alabama’s Randy Owen, Rob Crosby, Scotty McCreery, Mac Davis, Dickey Lee, Kane Brown, Chase Bryant, Shawn Camp and new Country Music Hall of Fame inductee Randy Travis, who drew a standing ovation when introduced during the banquet upstairs. Clay Walker, Dustin Lynch, Luke Bryan, Brett Eldredge and a few others delighted the fans by crossing the street before entering the gala and posing for selfies. The crowd squealed with delight. Inside, you couldn’t turn around without bumping into an award winner during the cocktail hour. 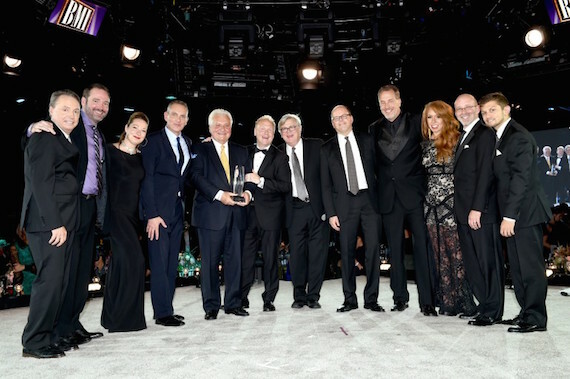 Barry Dean, Al Anderson, Tom Douglas, Luke & Beth Laird, Trent Summar, Jim Collins, Brett & Jim Beavers, Casey Beathard, Tommy Cecil, Rodney Clawson, Jeffrey Steele (winning his 30th BMI Award), Dallas Davidson (his 25th), Westin Davis, Andrew Dorff, Liz Rose, Connie Harrington, Lee Thomas Miller, Jay Knowles, Lori McKenna, Melissa Pierce, Michael White and Phil O’Donnell were schmoozing up a storm. But award winners are only part of the story at this annual whoop-de-do. It is, at its heart, a gigantic family-reunion party. 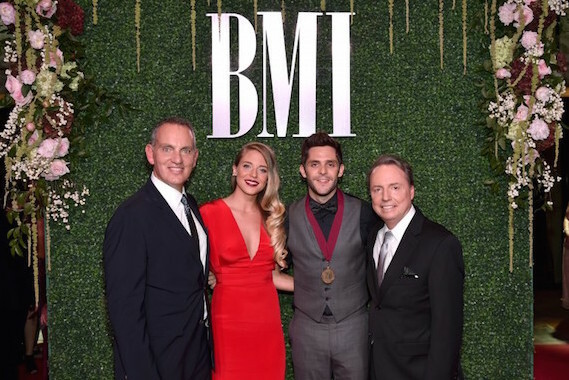 If it was songwriting superstars you sought, BMI can easily fill the bill. In attendance were Rory Bourke, Even Stevens, Mark James, Bob & Leslie Tomasina DiPiero, Roger Murrah, Norro Wilson, Whitey Shafer, Aaron Barker and Jerry Chestnutt, as were such legendary producers as Byron Gallimore, Keith Stegall, Tom Collins, David Malloy and Jerry Crutchfield. We dined on greens with pumpkin salad, beef medallions, hen quarters with currant glaze, green beans, mashed potatoes and heirloom carrots. The banquet décor was simple but elegant, focusing largely on floral arrangements. The BMI garage sides were open to the unseasonably warm air and overlooked the lights of the city. Enjoying the vibe were Sally Williams, Jay Williams, Kyle Lehning, Kyle Young, Cindy Watts, Cindy Hunt, Hunter Kelly, Scott Siman, Scott Stem, Charlie Feldman, Charlie Monk, Jerry House, Autumn House-Tallant, Mark Hartley, Mark Brown, Dave Pomeroy, David Preston, David Briggs, David Crow, Tim Nichols, Tim Wipperman, Bobby Cudd, Bobby Pinson, Steve Lassiter, Steve Lowery, John Marks, John Huie, Jim Free, Jimmy Carter, Butch Baker, Dale Dodson, Fletcher Foster and Susan Stewart. In addition to Williams, the awards presentations were handled by CEO Mike O’Neill, Bradley Collins, Phil Graham and the exquisite Leslie Roberts. “It’s hard to believe this is my 40th BMI country dinner,” said Graham. Ooof. Wasn’t it just yesterday that we all began this meet-and-greet journey? Marching along merrily were Kos Weaver, Andrew Kintz, T.K. 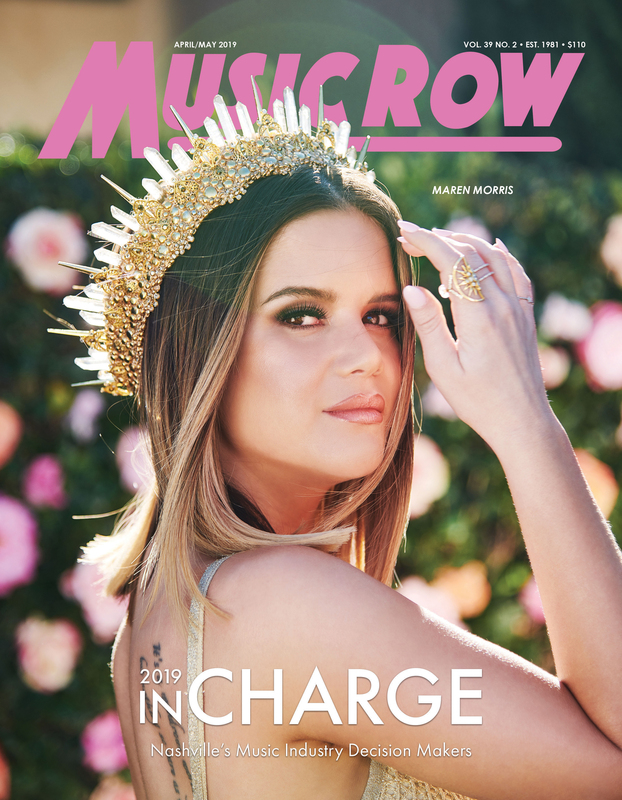 Kimbrell, Jay Orr, Will Rambeaux, MaryAnn McCready, Mayor Megan Barry, new singer-songwriter Trent Harmon, Debbie Carroll, Tony Conway, Whitney Daane, Arturo Buenahora and Walter Campbell. Doug Johnson, Ron Cox, Brandi Simms, Allen Brown, acclaimed documentary filmmaker Ken Burns, Michael Heeney, Leslie Fram, Barry Coburn, Recording Academy CEO Neil Portnow, Sherod Robertson, Tracy Gershon, Patrick Clifford and Amy Mayo were working the room, too. So were Josh Van Valkenburg, Terry Bumgarner, Rick & Janis Carnes, Joe & Phran Galante (who looks fabulous), Phyllis Stark, Becca Walls, Holly Gleason, Alicia Warwick and Clay Myers. After the awards banquet, we headed back to the BMI lobby for dessert and dancing to The Guilty Pleasures. As we exited, the fans were still in formation on their sidewalk. God bless ‘em.